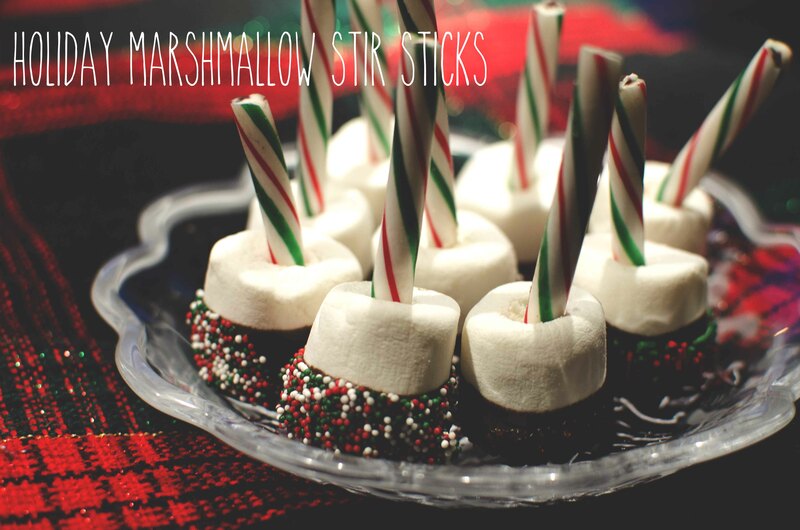 HOLIDAY TREATS PART 4: HOLIDAY MARSHMALLOW STIR STICKS! Hey Guys! 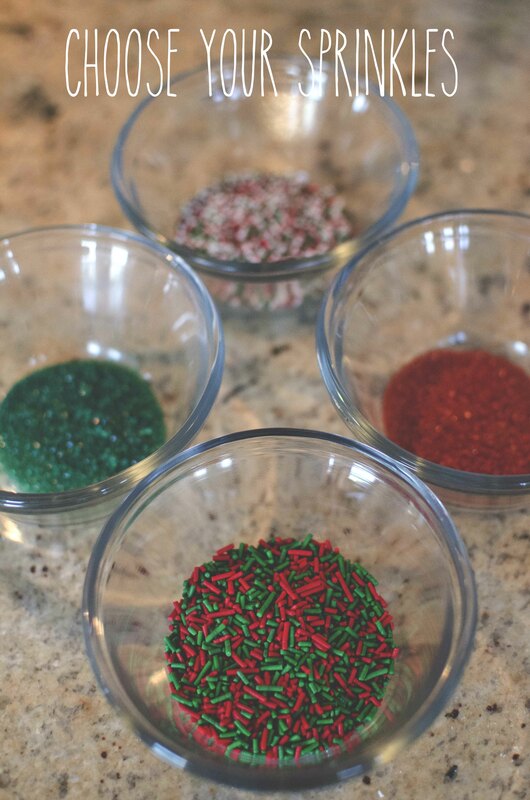 This week we are featuring another ‘no bake’ recipe for you. 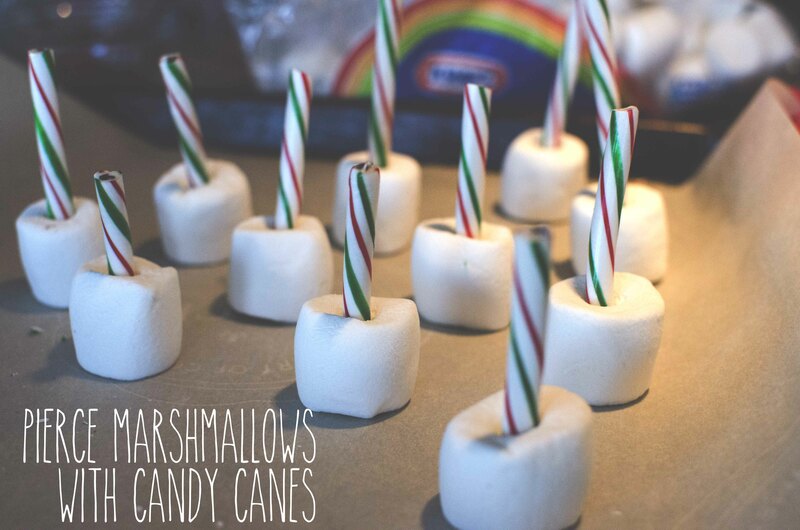 Marshmallow Stir Sticks! 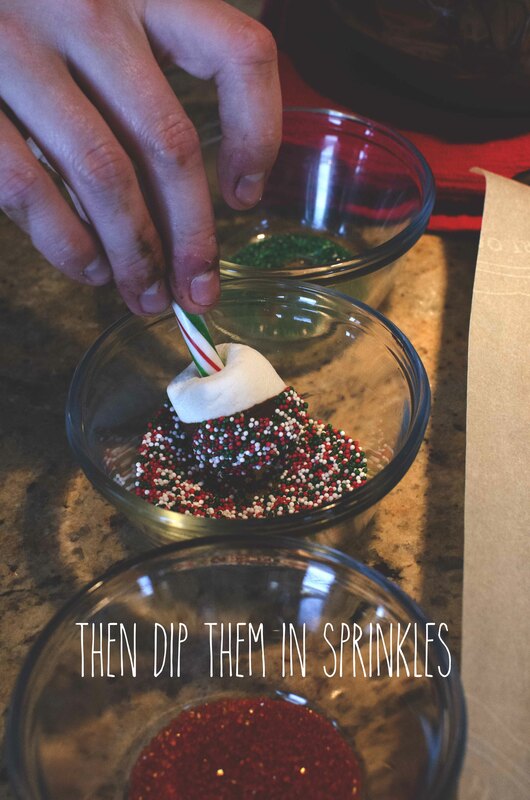 This is an awesome pairing for hot chocolate or a peppermint mocha on a cold night. It instantly makes a simple drink spectacular. You can faintly taste the peppermint in the hot chocolate from the stir stick and the chocolate melts right into the drink. 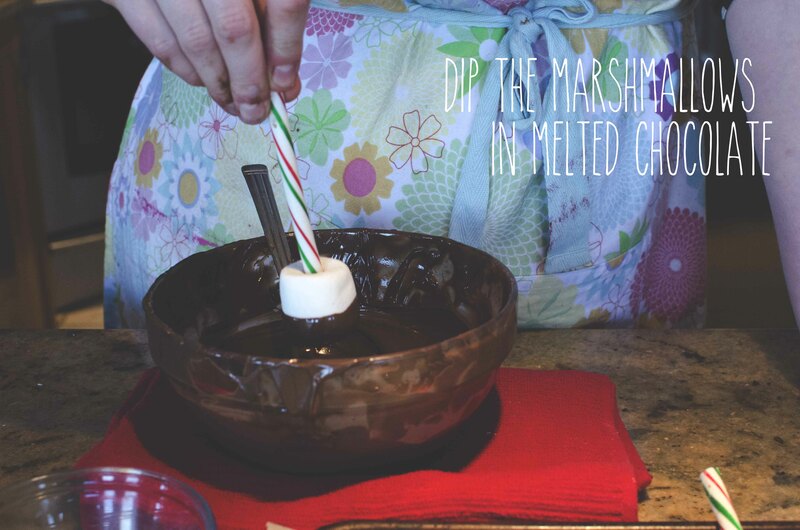 Stand dipped marshmallows on parchment paper lined sheet, refrigerate until chocolate is hardened, about 20 minutes. Perfect accompaniment with hot chocolate or a peppermint mocha!